A high-ranking chief ranger with 14-years at the National Park Service filed suit on Friday claiming discrimination against her because she is female after she was passed over for a promotion. Michelle Schonzeit, a GS-14 level employee who is chief ranger at the Liberty Bell and Independence National Historical Park in Philadelphia, is seeking $400,000 in the filing with U.S. District Court for the District of Columbia. She and her attorneys alleged “rampant sexual discrimination and Prohibited Personnel Practices against female National Park Rangers,” as well as “disparate impact discrimination (on behalf of all female National Park Rangers), and disparate treatment discrimination (on behalf of the discrimination and retaliation she and her family have suffered),” the complaint said. Schonzeit’s husband is preparing a separate complaint arguing that the Park Service’s decision in 2017 to select a man whom the plaintiffs portrayed as a less qualified candidate for a Washington-area job has forced the couple, and their child, to live in separate cities. 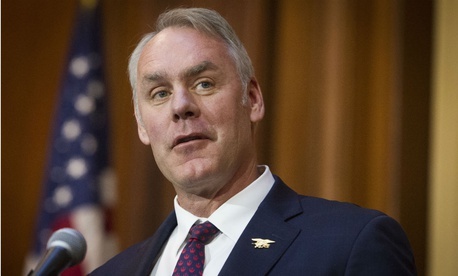 The complaint also charged that Schonzeit’s privacy was violated when the Park Service disclosed “confidential information about her” Equal Opportunity Office complaint to her co-workers and her supervisory chain of command. The last straw for Schonzeit came in 2017, when her hopes for landing the job of chief ranger for the National Capital region were dashed when the managers—among them then-regional director Robert Vogel—closed the hiring and reposted the job, eventually hiring Gettysburg battlefield Chief Ranger Jeremy Murphy, a GS-12. Vogel has been moved to Atlanta. Attorney Weber said a contributing factor is that women are "intentionally being shut out of developmental details" of the selection process, such as knowing in advance the Knowledge, Skills, and Abilities criteria in writing a resume or application, and don't as often as men have inside mentors. The Interior Department referred queries to the Justice Department, which declined to comment. The Park Service did not comment by late Friday afternoon.